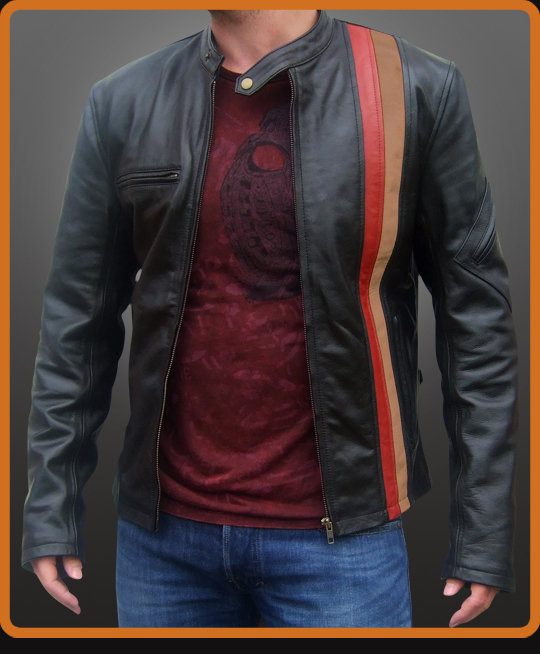 Men's leather biker jacket replica from X-Men: The Last Stand. Inspired by Cyclops character portrayed by James Marsden. Slim fitting jacket features cool two-toned vertical stripe accents on the left front, special pocket detail on the left arm and buckle detail at waist. For Cyclops, being a mutant was not a choice. But wearing this jacket was a pretty good one. Black Coffee with Red and Tan stripes.